The price reduction comes weeks after Nintendo's first-ever full-year loss. With 150 million units sold, it's difficult to believe that there's a gamer out there that doesn't own a Nintendo DS system. If you have somehow managed to resist the DS's many temptations until this point, you will soon be able to pick up models of the best-selling handhelds for significantly reduced prices. Effective May 20, 2012, Nintendo will be dropping the MSRP of its DSi and DSi XL systems to $99.99 and $129.99 respectively. The current MSRP for the DSi system is $149.99 and $169.99 for the DSi XL, so the new price point offers savings of between $40 and $50 depending on which model you pick up. The reduction widens the price gap between the DS line of handhelds and the more recently released 3DS hardware. 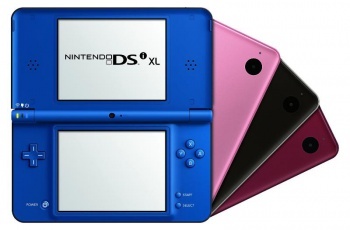 The reduction in price positions the DSi as the budget model in Nintendo's DS suite, a position previously occupied by the now discontinued DS Lite. The new price drop also creates the first price difference between the DSi XL and the 3DS since the 3DS dropped in price last year. Both currently retail for $169.99. The announcement comes just a few weeks after Nintendo reported its first ever full-year loss in 2011.